Being a collection of interesting items – in no particular order – that have landed in our in-box in recent months but never made it into the E-Journal. Legend of the Five Rings: Fantasy Flight Games publishes a card game called “Legend of the Five Rings” which takes inspiration from Japanese, Chinese, and Korean history and legend. 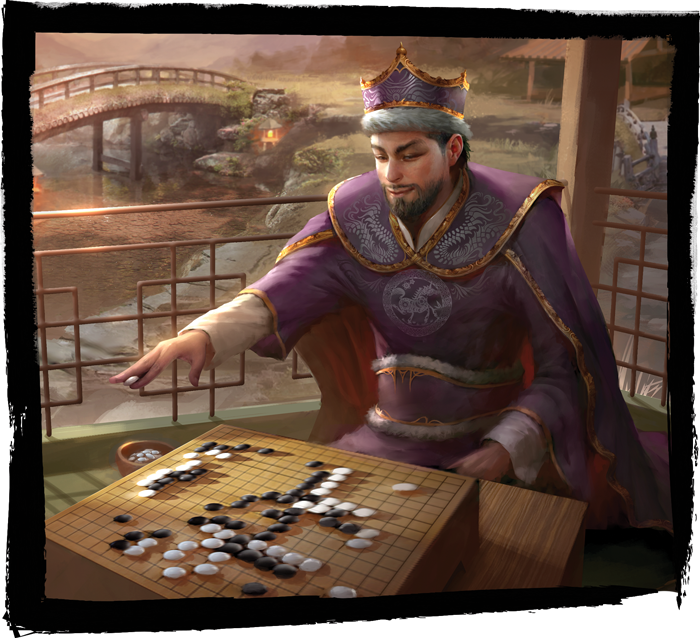 A short story posted to FFG’s website contains an image of a gentleman engaged in an interesting game of go while holding a white stone correctly. The short story, itself, contains a discussion between two characters about Shogi, with a passing comment that one prefers the “purity” of go. Bushnell gave the keynote address at the 2012 Go Congress. Can A.I. Be Taught to Explain Itself? As machine learning becomes more powerful, the field’s researchers increasingly find themselves unable to account for what their algorithms know — or how they know it.